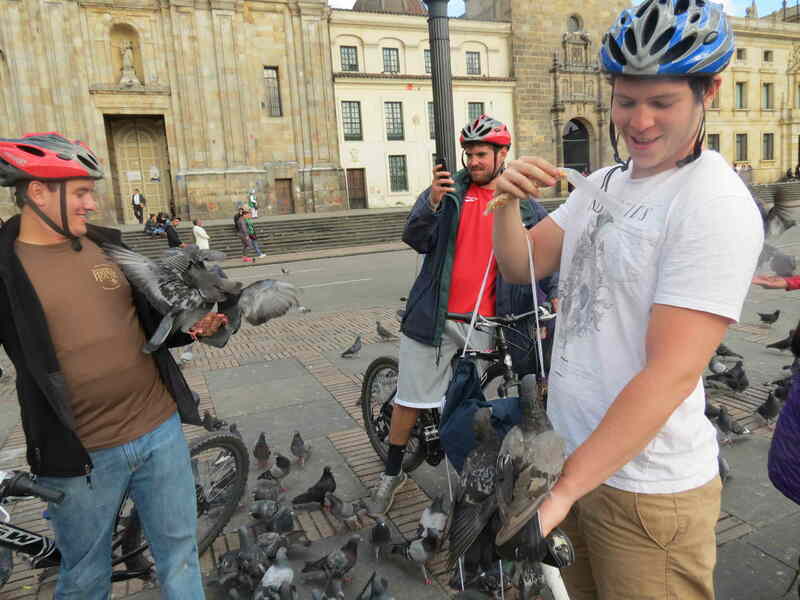 Lots of people are surprised by the plentiful pigeons populating Bogotá’s plazas. Other cities try to eliminate these ‘flying rats’, or at least discourage them. But in Bogotá they are honored members of the community. Vendors sell grain to feed them, people pose with them for phots and artists sketch them. 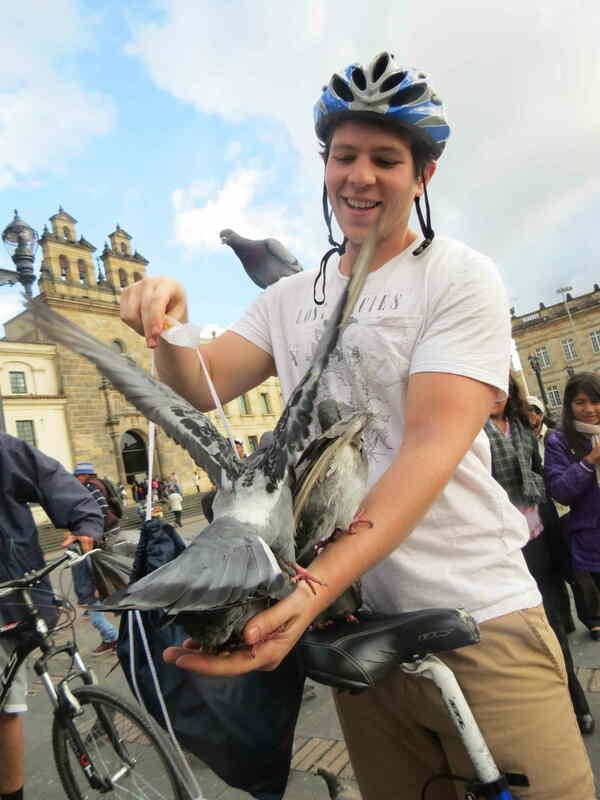 For better or for worse, we often make feathered friends during our bike tours. 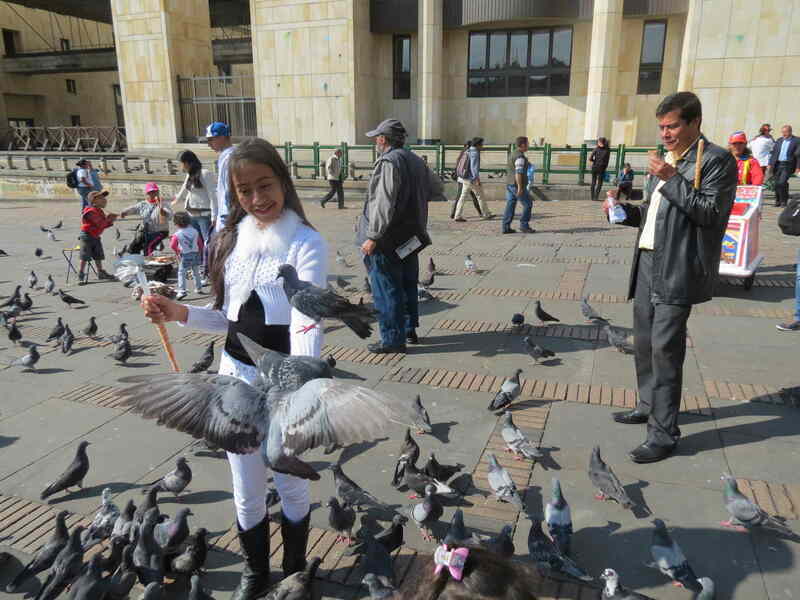 A little girl feeds pigeons on Plaza Bolivar. 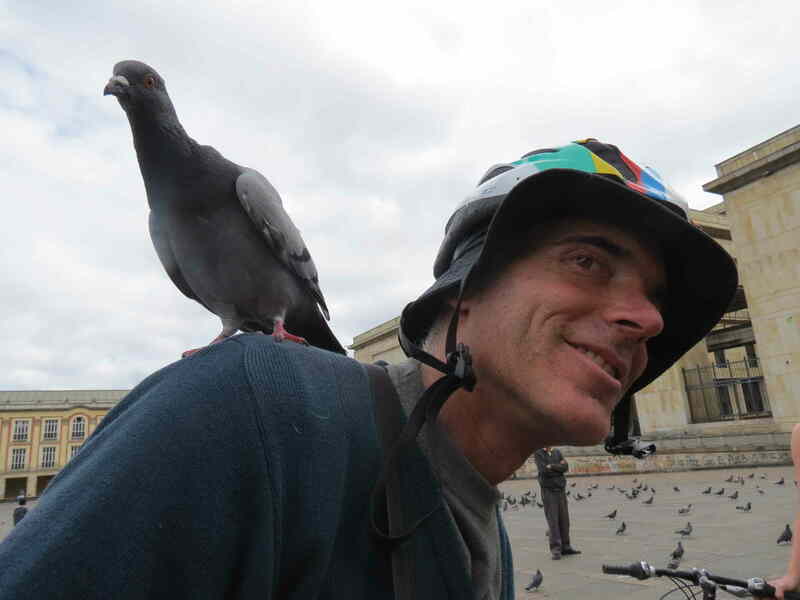 Yours truly with a pigeon hitch-hiker. 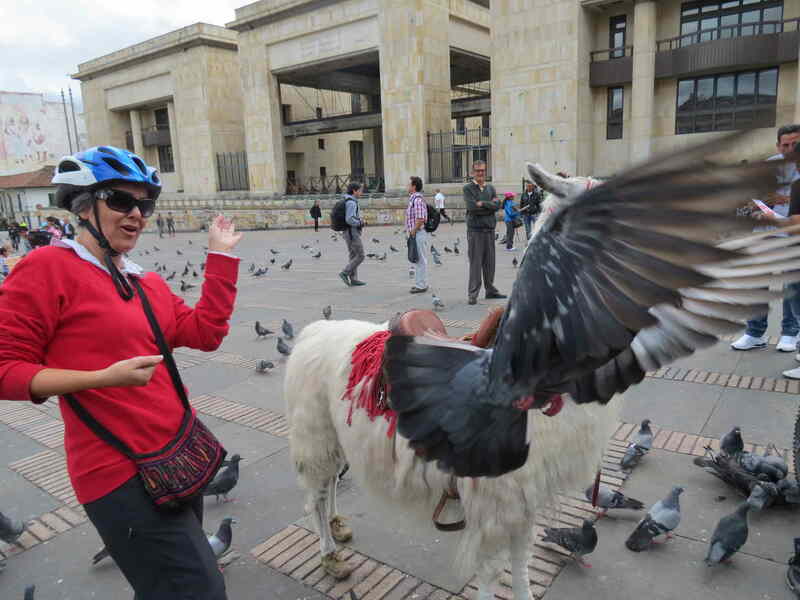 This entry was posted in Uncategorized and tagged bike tours, Bogota, colombia, pigeons, plaza, tourism. Bookmark the permalink. Well done people of Bogata, finally a city that has some respect and care for the pigeon!